Sponsors for the 2018 World Cup in Russia are proving hard to find. Teams from 32 countries learned Friday who they will play at the soccer showcase, but with just six months until kick off, FIFA is struggling to find companies that are willing to spend millions of dollars on ads and logo placement. Brands have been scared off by the 2015 corruption scandal that ensnared top FIFA officials, including former general secretary Joseph "Sepp" Blatter, analysts say. Political controversies involving Russia, sanctioned in 2014 following the annexation of Crimea and accused of meddling in the U.S. presidential election, haven't helped. "The big deals are still there but it's in decline," said Patrick Nally, a sports marketing consultant who previously worked with FIFA. "The big corporate names are moving away and being replaced by political players." FIFA lumps its sponsors into three groups: "partners," "World Cup sponsors" and "regional supporters." The group has filled seven of eight partnership slots -- the top tier -- ahead of Russia 2018. Some Western stalwarts with long-standing FIFA relationships are still on board, including Coca-Cola (KO), Visa (V) and Adidas (ADDYY). Newcomers are limited to Qatar Airways, state carrier of the 2022 World Cup host, and Russian state-controlled energy firm Gazprom (GZPFY). Chinese property firm Wanda Group is another new top sponsor. 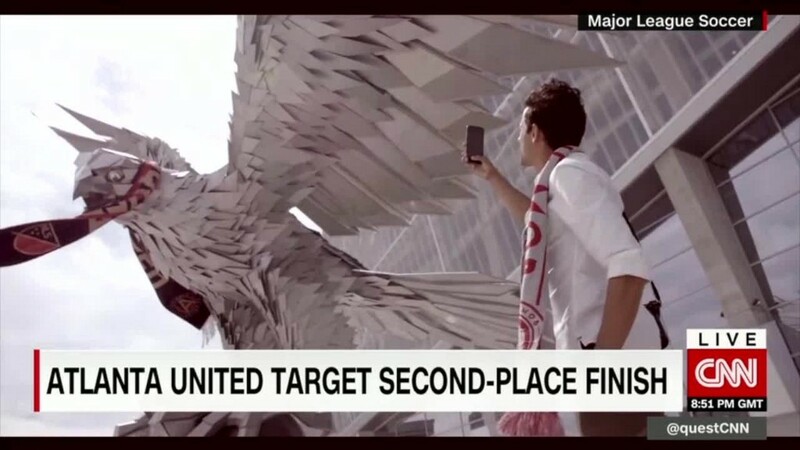 The second sponsorship tier is only half full, with veterans McDonald's (MCD) and Budweiser (BUD) being joined by two Chinese companies: smartphone maker Vivo and electronics manufacturer Hisense. Gone are Western brands Continental (CTTAF), Castrol and Johnson & Johnson (JNJ), which all chose not to renew their contracts in 2015. 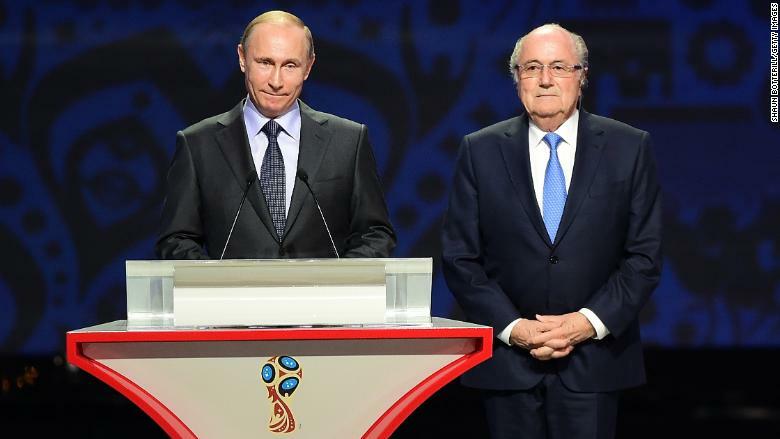 Russian President Vladimir Putin and former FIFA boss Sepp Blatter in 2015. FIFA's biggest challenge is finding more "regional supporters" for the third group. There are 20 of these sponsorships for five regions. So far, only one company has signed up for 2018: Russia's Alfa Bank. FIFA said it expects more businesses to be added next year, but declined to comment further. "It's not a financial disaster for the FIFA or the World Cup, but it's clear the tinsel has gone off the Christmas tree," said Nally. It's proving difficult for FIFA to move beyond the corruption scandal, two years after it first burst into the open. A handful of former officials linked to FIFA still face graft charges in New York. "The only thing you can do is re-brand," Nally said of FIFA. "They keep saying it's changed, but has it? They need to rekindle confidence and they're not going to do that with the FIFA name."